Kalai Natarajan is the Senior Vice President, Head of Strategic Engagements of Prudential Assurance Company Singapore. “It is important to make the most impact, to bring one’s knowledge in a traditional company, and my service to Prudential is my way of application,” she explains. Insurance has been an overlooked necessity in most countries, such as the Philippines. She aims to change this perspective, to give people the ability to protect their own future through financial security globally. Prudential hopes to achieve increasing the future of insurance by building an ecosystem of partners who can solve business challenges with creative solutions through PRU Fintegrate. “We hope these solutions will transform customer experiences, help our employees work smarter and complement the efforts of our financial consultants in providing customers with valuable advice and solutions to meet their changing needs,” Kalai said. 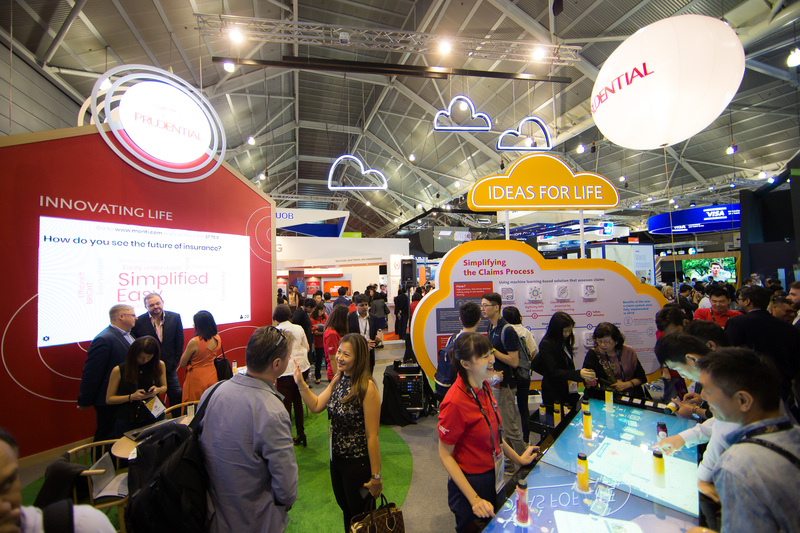 Prudential is one of the largest life insurers in Singapore and they offer participating scale-ups, which are companies with a valid business model and are ready to accelerate growth in their business, with an extensive network and resources to tap into. This is coupled with their more than a 4,800-strong network of financial consultants, along with their 87-year legacy and our culture of innovation. This makes them a partner of choice. She believes that the scale-ups that choose to work with Prudential will be able to accelerate their digital journeys and bring their tried-and-tested solutions to the market. “In this way, they will be meeting the needs of a largely untapped but high-potential sector,” she alludes. Their team of experts will work with these scale-ups. They will help them enhance their value proposition and develop their proof-of-concept. Their final group of successful partners will then be invited to showcase their solutions at the 2018 Singapore FinTech Festival this coming November 12-16. This will enable them to start a fully-paid pilot programme of their solutions in 2019. She sees collaboration with a bigger firm as a solution to this as it can provide with the necessary advice, customer insight, and counsel to refine their solutions. Firms such as insurance players like Prudential are now seeing the potential that scale-ups bring and they are keen to form alliances, in order to tap on their expertise and gain access to the technology opportunities that will benefit one’s company. There is now an improvement in the Healthcare and Insurance industries through Prudential’s massive effort because the players now are receiving the proper attention and funding that they deserve. An increase in the diagnosis of lifestyle diseases such as diabetes and cancer, coupled with a growing aging population is driving the demand for healthcare and HealthTech solutions in the region. “As one of Asia’s largest life insurers, it is important that our customers are healthy and have access to the right resources to help them remain healthy,” Kalai believes. Helping others to use technology has become the right solution to meet their needs. Furthermore, Southeast Asia, as a home to the high Internet and mobile phone adoption rates now provides a solid platform for the birth of new digital and innovative solutions. “This presents business opportunities for firms like insurance players to form alliances, tap on the expertise of these start-ups, and gain access to the technology necessary for their company,” Kalai explains. Prudential’s PRU Fintegrate provides such a collaboration for their program aims to work closely with scale-ups across the world. Their goal is to bring the right mix of partners in order to develop comprehensive and complete solutions that can enhance customer experience and contribute to the development of the ecosystem. Collaboration with HealthTech and MedTech industries will create solutions to achieving the region’s efficient health outcomes. Kalai believes that there are numerous trends happening and she believes that healthcare will soon be easily accessible through one’s mobile phones. Perhaps, three years from now, the medical records, video consultation, and check-ups can all be done within a health app. “We can now buy anything online, we are getting used to it, and so there is no going back anymore. This is where we are all headed now and we are frequently only using mobile devices already. This is a mindset shift,” she believes. She observes that some of the biggest challenges to the healthcare and medical industry in the region is the aging population and the inadequate access to comprehensive healthcare. Her advice for future entrepreneurs, “Do one thing and do it very well.” She also sees unity as an important factor to productivity, “The population is now tech-savvy, buying things online. They are now all coming around. We need a collaborative world, we need each other, and we should work together.” Insurance becomes her advocacy as she upholds being able to take care of yourself, your family, and your future. This is a model that is necessary for the future of humanity. It is indeed important to tap into new opportunities for growth in insurance and beyond.